Acupuncture is holistic and looks at all aspects of a person and all body systems and how one system or function affects the other. Herbs can be a wonderful adjunct to acupuncture or as a stand alone therapy. Are you ready to feel less pain, have more energy and sleep better? Are you feeling stuck in your life from persistent pain or ongoing health issues? Is chronic stress weighing you down, taking a toll on your health and well being? Are you ready to take back control of your health, and live a life of balance and vitality? I assume you are here because you’re feeling discouraged, stressed, and stuck in your life. Chronic pain and or a chronic health issue has reached a point where it feels like it’s taking over your life and holding you back. Whether it’s from long term stress, a bad injury, repetitive strain, food choices, or hormonal issues, something in your life got you and your health off track. Stress and anxiety are at an all time high, and some days it feels like your health is spiraling downward. Life is always throwing us curve balls, but sometimes it throws us one too many and it can feel pretty overwhelming. A breath or a break is needed, but so many of us feel we don’t have the time or space and barrel ahead until our bodies start to nudge us with symptoms such as pain, migraines, poor sleep, anxiety, or hormonal imbalances. I assume you’re here because you realize you can no longer ignore what your body is telling you. That you’re ready to take steps to feel better physically and emotionally and live a life of vitality and abundance! For the past 11 years our clinic has helped people just like you to not only alleviate symptoms but provide relief on a deeper level of body, mind and spirit that continues long after treatment. We provide all natural solutions that work and are long lasting. Whether it’s been 10 years or 1 month where you just haven’t felt good or yourself we are here to help! Call today to start taking charge of your health again! Leave your name and email above for our free ebook called “Your Guide to the Ultimate Pain Elimination Solution”. This ebook will give you a tremendous amount of tips and insights to better health. Like our Facebook page. We have a thriving Facebook community, and we’d love to have you be a part of it! Call our office at 603-412-2777 to set up your first appointment. We’re never too busy to help you! 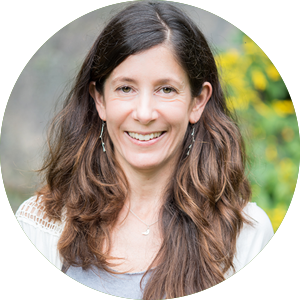 Heidi Botnick O’Hare, L.Ac is a NCCAOM certified acupuncturist licensed in the state of New Hampshire. She graduated from the Tri-State College of Acupuncture (TSCA), one of the oldest acupuncture schools in the United States, in New York City in 2006, where she was trained in several styles of acupuncture including trigger point dry needling and Japanese meridian therapy. Heidi moved to NH from Brooklyn, NY in 2013 to pursue a quieter and more sustainable lifestyle. She is now in her 12th year of practice. When I first came to Heidi, I was a real mess. My back had locked up and was causing me constant pain, which was a real problem because my job demands that I be on my feet all day most days. Heidi quickly identified the issues and through a series of treatments was able to train my back muscles to relax. I have been pain free for over a year. I had been to other acupuncture practioners and did not have good results. Heidi’s talent and technique combine to make her truly unique in her field. I highly recommend contacting her for any issues you are having. A year ago, I was diagnosed with a torn lateral meniscus in my right knee, an extremely painful condition. I was told that the only solution was arthroscopic surgery. I wanted relief, but had heard too many stories of botched knee surgeries. Years before, I had success with acupuncture for other injuries and I decided to try it again. When I first visited Heidi my knee was extremely swollen and tender, and I could hardly walk. After a few weeks of acupuncture the swelling was down and walking was no longer painful. In addition to Heidi’s expert care, I saw a non-surgical sports medicine doctor whose trigger point and soft tissue work complemented the acupuncture sessions. Healing a torn meniscus is a slow process, but my knee has now recovered.It is a great pleasure for me to write a testimonial for Heidi Botnick. She is a truly intelligent, gifted, and compassionate healer. She is extremely knowledgeable in her field and generous with her time and care of patients. As an avid marathon runner, I have a long history of overuse and acute injuries, but have been totally unsatisfied with the “remedies” provided by MDs, Chiropractors, and Physical Therapists. I thus came to Heidi with a great deal of skepticism about the ability of acupuncture to help my body. However, within one session, she made me a believer, as my hip tendinitis disappeared within a day . She is very empathetic, listens careful, and performs careful palpation to find areas in your body that need to released/ relaxed/ experience flow, and then does so adroitly and with compassion. Each session, I feel a difference immediately and pains that had seemed just a part of daily training are substantially diminished. She also takes the time to recommend herbs and natural remedies that assist in the maintenance of one’s well being. I recommend Heidi to others at every chance I get, especially to athletes and dancers. She is a gifted, true healer. When I met Heidi I was in a lot of pain. My right arm had been under a lot of stress from working at a desk and on a computer all day. Also carrying a very heavy fashionable handbag didn’t help either! Heidi’s personal style and care paid off. Heidi explained how she was going to work on my arm and was not only gentle but firm when explaining how the treatment would be helpful for my pain. She would talk to me throughout the session to let me know how my arm was going to react to the treatment. It was a little surprising to feel the muscles release at first, but she reassured me that was a good thing. The hard work we both put in to the treatment improved my arm and I felt relief after the very first session. Heidi not only treated the arm but she ensured I was balanced in all other areas of my well being. Thank you for making me feel better! I was first exposed to acupuncture about five years ago while living in Los Angeles. I had a demanding job in the entertainment industry and was suffering from insomnia, stress, and allergies. I was fortunate to discover that acupuncture had immediate and lasting beneficial effects. After relocating to New York City I feel even more fortunate to have found Heidi Botnick. Not only is she an extremely well trained acupuncturist, she also possesses the rare ability to truly listen to her patients. The result is powerful and uniquely personalized medicine that draws on the wisdom of ancient and modern modalities. It is a pleasure to be able to recommend Heidi without reservation. I’ve had allergies all my life. I was born with eczema, developed asthma by 5 and hay fever by 7. I tried everything western medicine had to offer – corticosteroids, adrenalin, anti-histamines, desensitization injections and more. Most of the things I was prescribed had difficult side effects – drowsiness, weight gain, headaches, backaches, heart palpitations. And for all that, they usually didn’t work when the peak hay fever season came around every year. I decided to try acupuncture and went to Heidi late last year for help. As I write, we are a few weeks into what would normally be the worst time of year for me. The pollen levels are rated as “very severe” almost everyday and incredibly, I am still not taking *any* hay fever medication at all! No steroid nasal sprays, no allegra, no benadryl, no face masks…nothing. This is the first time in over 2 decades that I can say that. I couldn’t be happier. Heidi also took time to work on the chronic pain I had for 2 years in my right shoulder. I can now swim for 2-3 hours completely pain free. It is no overstatement to say that Heidi’s acupuncture treatments have really changed my life. I feel so well these days, it’s wonderful. As one of the top athletic instructors in the NYC region I carry a considerable class load on a weekly basis. My body is put through some considerable rigors that can unfortunately result in serious sports injuries. From time-to-time drastic measures are needed to bring my body back to a workable state. I am forever grateful to Heidi Botnick for the fabulous repair work she has performed on me. I was introduced to her following some debilitating hamstring injuries. After months of unsuccessful physical therapy and cortisone shots, I was turned on to Heidi. After a few extremely thorough acupuncture sessions with Heidi, I was as good as new. I wished I sought her out much sooner, as I would have saved months of discomfort in the process. She is not only extremely knowledgeable about sports injuries, but is quickly successful in her treatment. A few well-placed sessions with her, got right to the source and permanent release. Forget about the injections and seek out Heidi’s magic. I’ve suffered from chronic neck and shoulder pain for many years. After my most recent setback, I sought the help of a physical therapist which improved my situation, but only to a point. When she felt there was nothing more she could do for me, she mentioned the possibility of acupuncture helping. I found Heidi and after only a few treatments finally got the relief I’d been hoping for. It was incredible to me that this option had existed all along and I didn’t know about it. My experience with Heidi has been truly wonderful. Her knowledge and professionalism coupled with her gentle, supportive manner make her not only an effective health practitioner but a pleasure to be with as well. It’s been great for me to receive treatment from Heidi once a week. It’s the one moment in my day that things slow down and I get to relax and concentrate on my own well-being. I’ve seen a very clear improvement with my back pain and digestive system. Heidi is truly in tune with her patients. She has a gift for getting to the root of what’s going on with you and finding the best way to treat it. She has helped me more than any medical doctor I have visited and I feel blessed to have found her. I had pretty bad acid reflux for about four years. I was on strong medication and could not eat tomatoes or drink coffee or tea. It took Heidi about 6 months of treatment but she got me off the medication. For the last two years I have been drinking between 3-4 espressos a day and can eat tomato sauce and raw chilis with no ill effect at all. I think it is fair to say that she cured me. Her manner is great. She will tell you if she thinks she can fix something and will tell you if she can’t. I would recommend her to anyone. When I became pregnant, I had to decrease my SSRI anti-depressant and experienced a return of my depression and an increase in anxiety, particularly shortness of breath. I became interested in alternatives to medication, and decided to try acupuncture. I found Heidi through the Park Slope Parents website. I’m definitely open to holistic forms of treatment, but I was surprised at how well and how quickly the acupuncture worked, on my anxiety and my depression. After the first treatment I felt calmer, and during the second one, the effects were even stronger: my limbs felt so relaxed I almost couldn’t feel them anymore and I dozed on the table. After starting acupuncture with Heidi, I also experienced very clear and noticeable relief from my shortness of breath. My psychiatrist was very supportive of this treatment, and not surprised at its effectiveness. I’ve tried a number of methods to replace medication, including daily yoga, psychotherapy and dietary changes. All have helped but I suspect that the acupuncture I received from Heidi had the greatest impact. Heidi was very conscientious, careful and compassionate. I’m grateful to have discovered the (very real!) benefits of acupuncture for depression and anxiety and can recommend Heidi wholeheartedly. If you are around me for more than five minutes and tell me about a physical ailment, I will tell you about the magical Heidi. She is someone I look forward to seeing as much as possible, and often I won’t even realize how in pain I am until her needles release the tension that has been stored up, all week/month long. I have seen her for a grocery list of ailments (allergies, smoking cessation, back pain, shoulder pain, acid reflux, digestion, aches from running), all of which have VASTLY improved under her care. You will never get a doctor who calls you back, or monitors your care. Yet Heidi leaves messages following up on your treatment plan, and she’s also a great listener. Am SO happy to have met her and highly recommend her services.